Used Bentley Arnage Review - 1999-2010 Reliability, Common Problems | What Car? What should I look for in a used Bentley Arnage saloon? Many of the Arnage's mechanicals are extremely well proven, which is a polite way of saying it's been around for years in one form or another. Or, that any problems have been ironed out. The car was recalled in 2005 for a problem with the front suspension ball joint, which could cause the driver to lose control, and again in 2006 when it was discovered that the wheels could fall off. That said, the car has generally performed well, and the good news is that the irritating niggles should have been fixed. The bottom line, though, is that reliability shouldn't be a big issue. What's more, Bentley's proud history and all-round Britishness (even though the company is now German-owned) means customer service from the dealer network should be top-notch if you do have a problem. Luxury car firms know there's nothing as valuable as a satisfied customer when it comes to sticking with the brand at trade-in time. 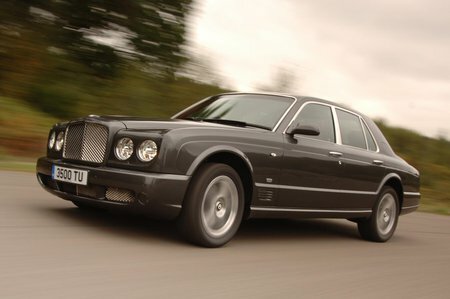 What are the most common problems with a used Bentley Arnage saloon? Is a used Bentley Arnage saloon reliable?